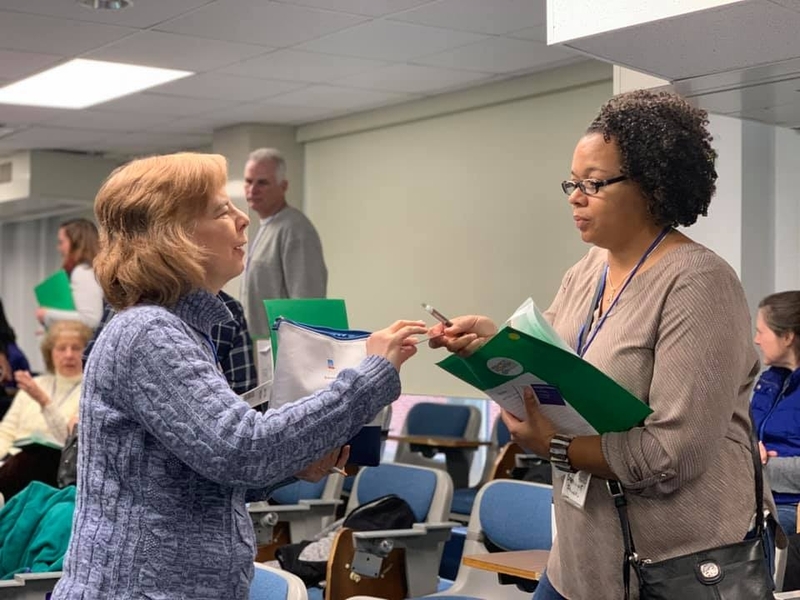 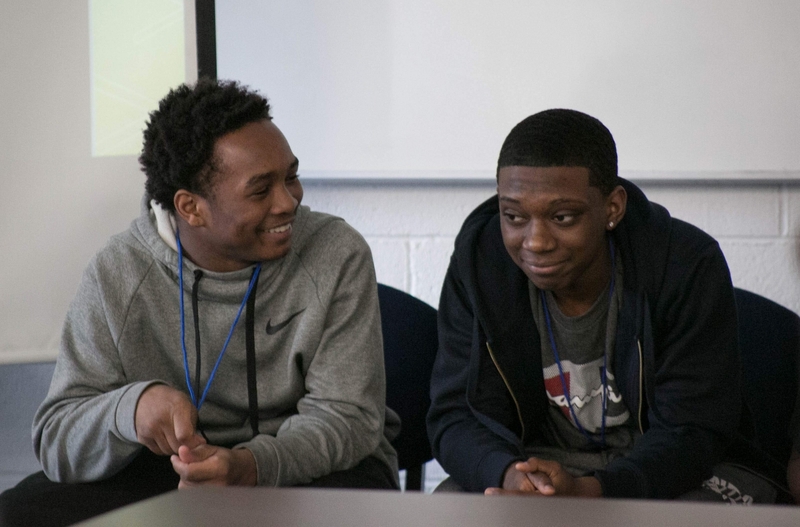 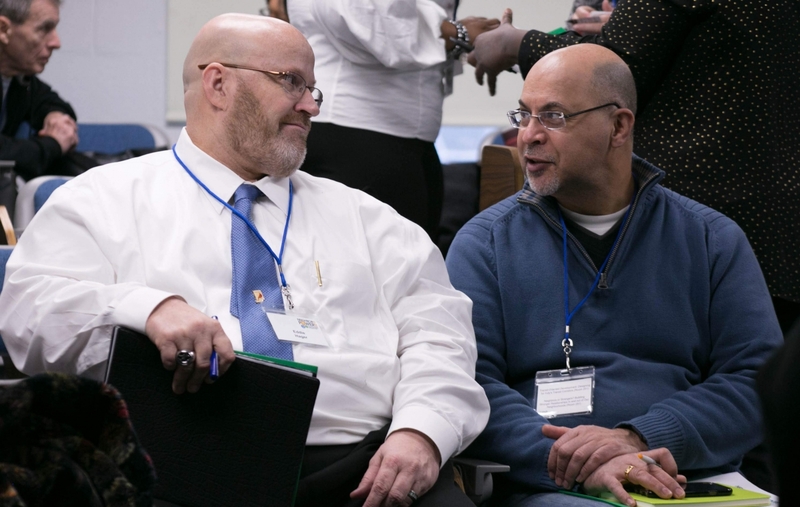 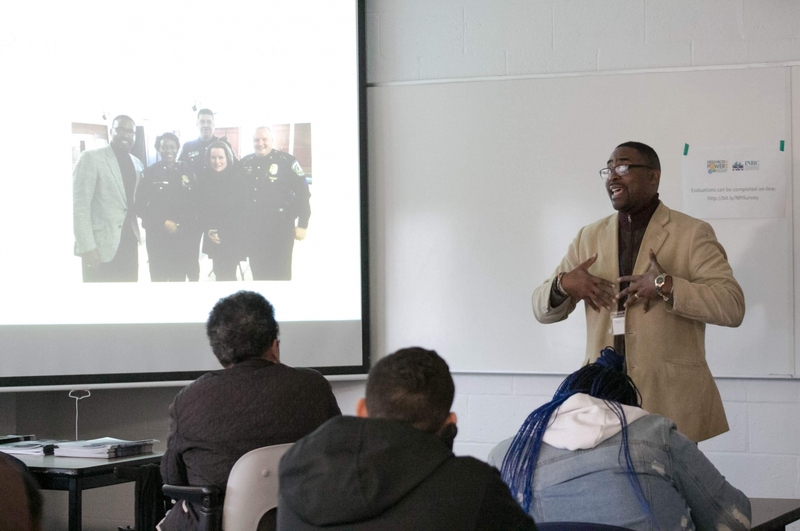 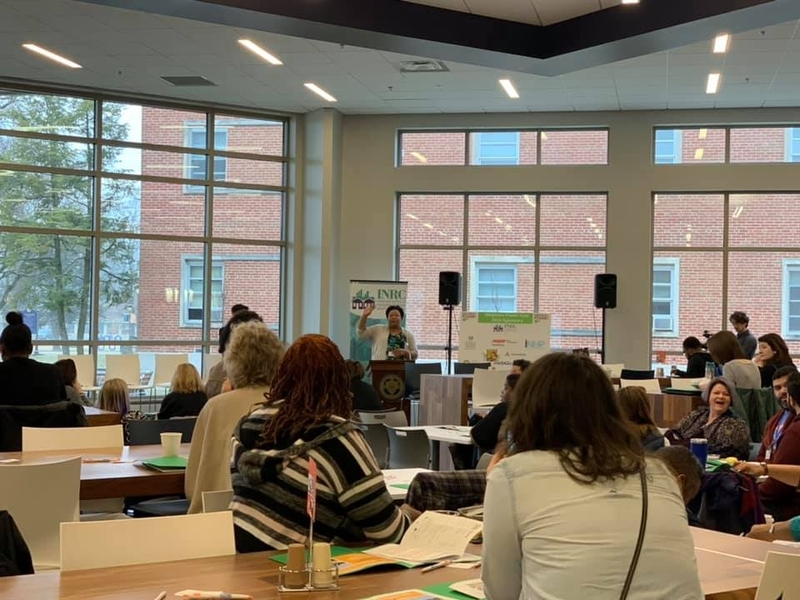 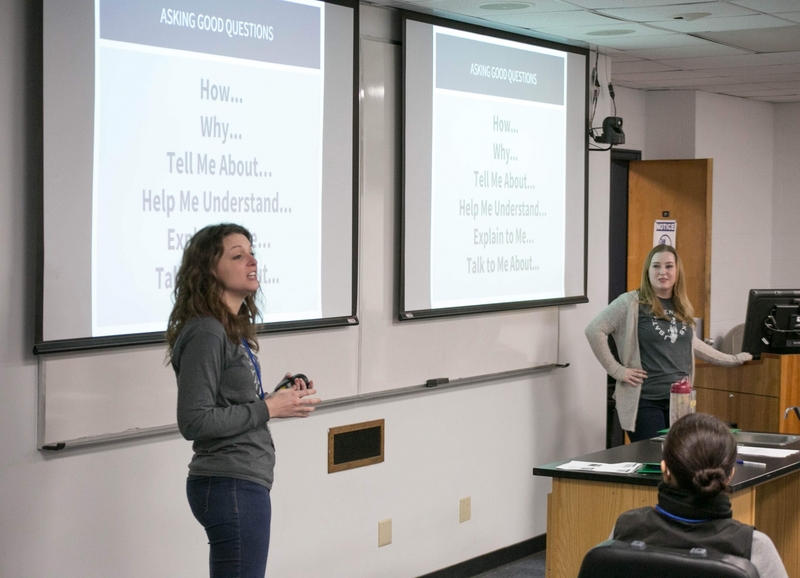 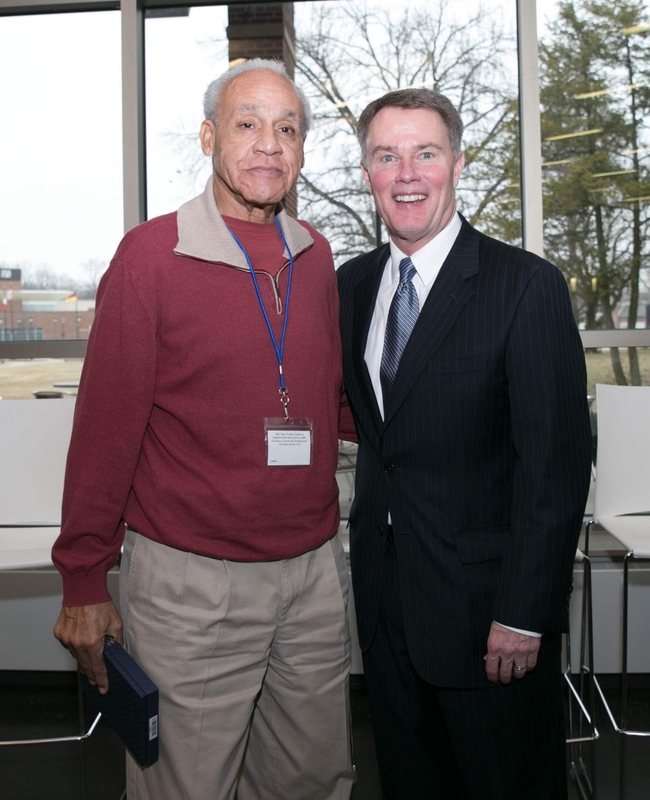 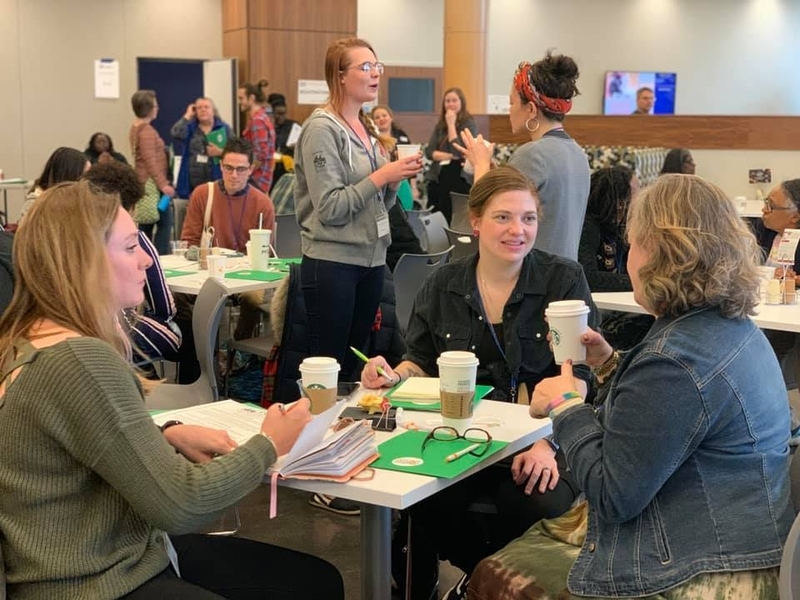 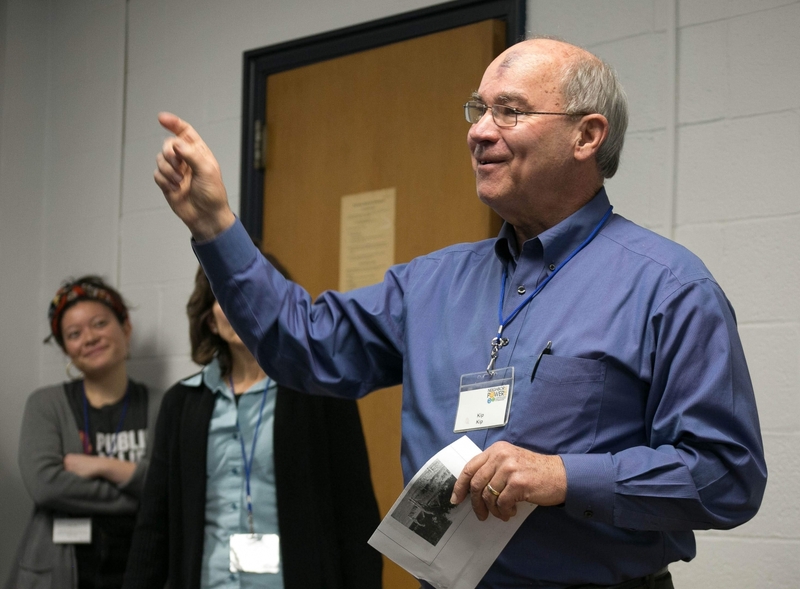 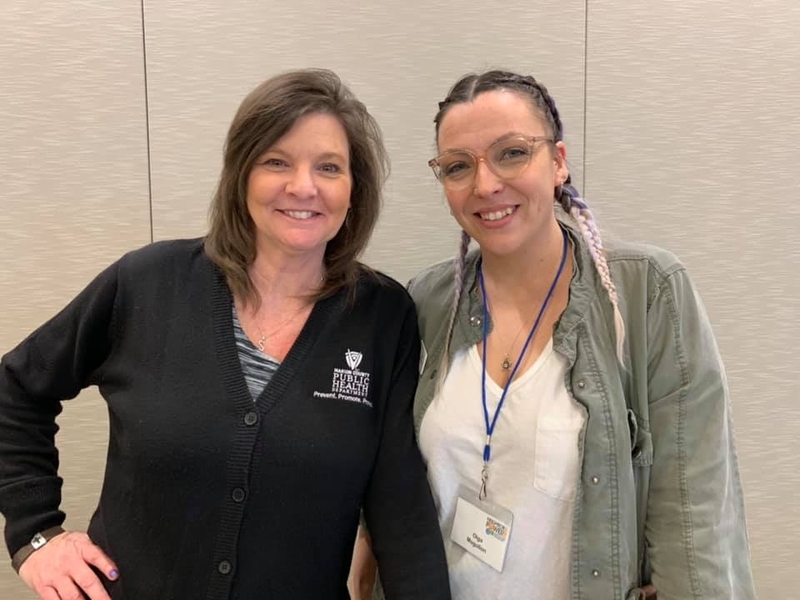 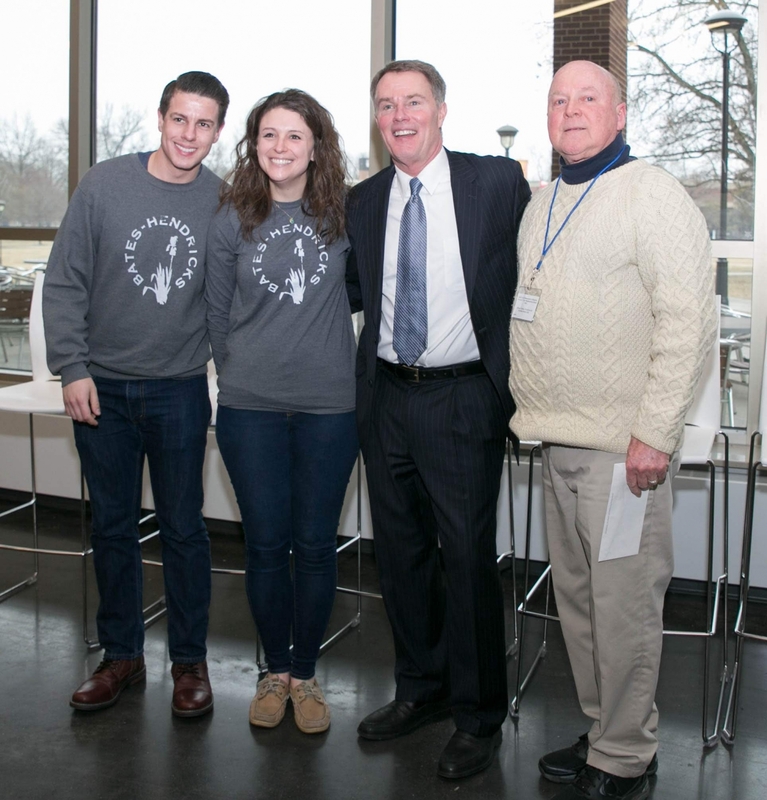 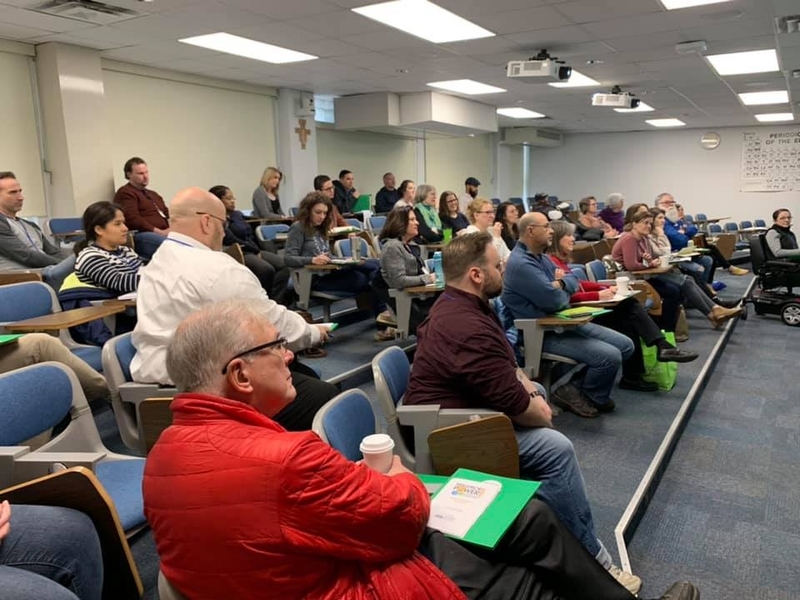 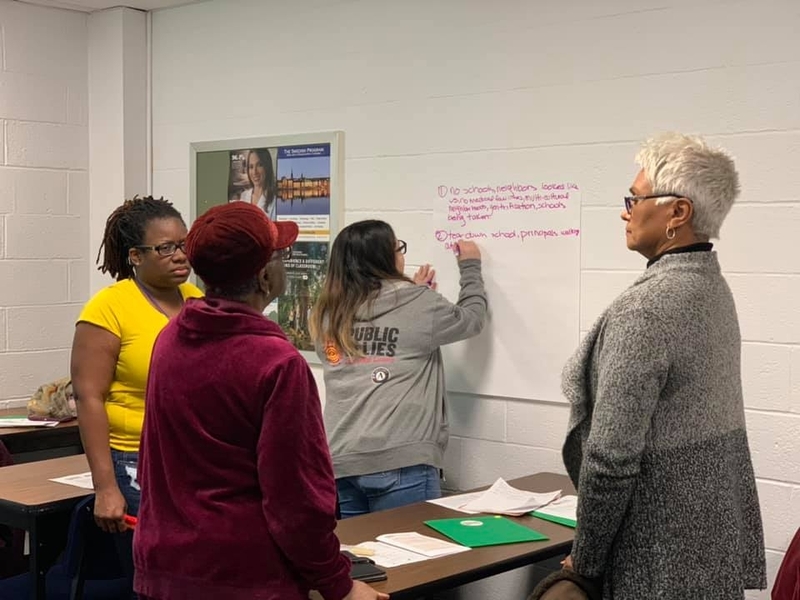 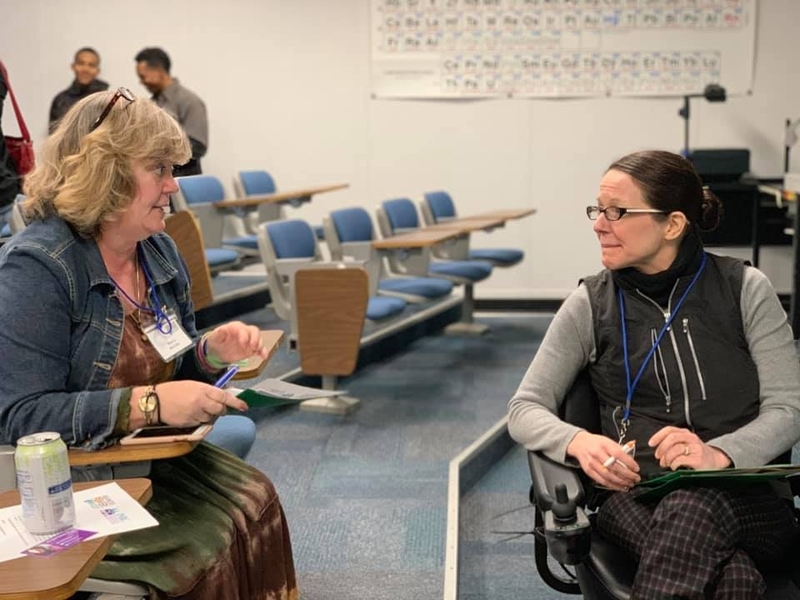 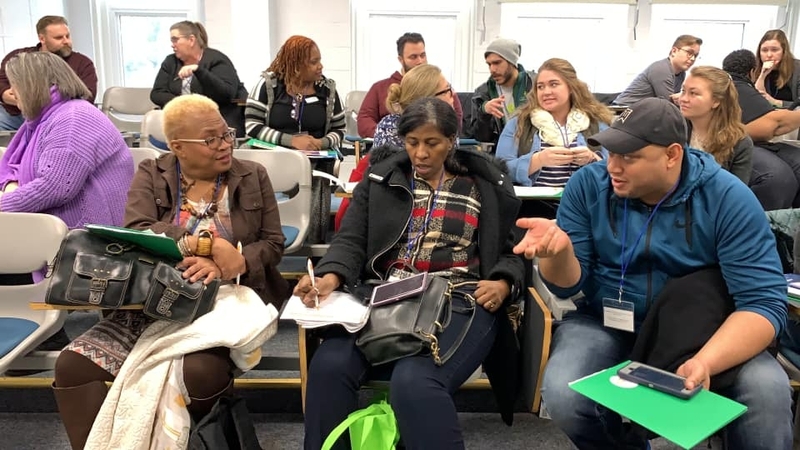 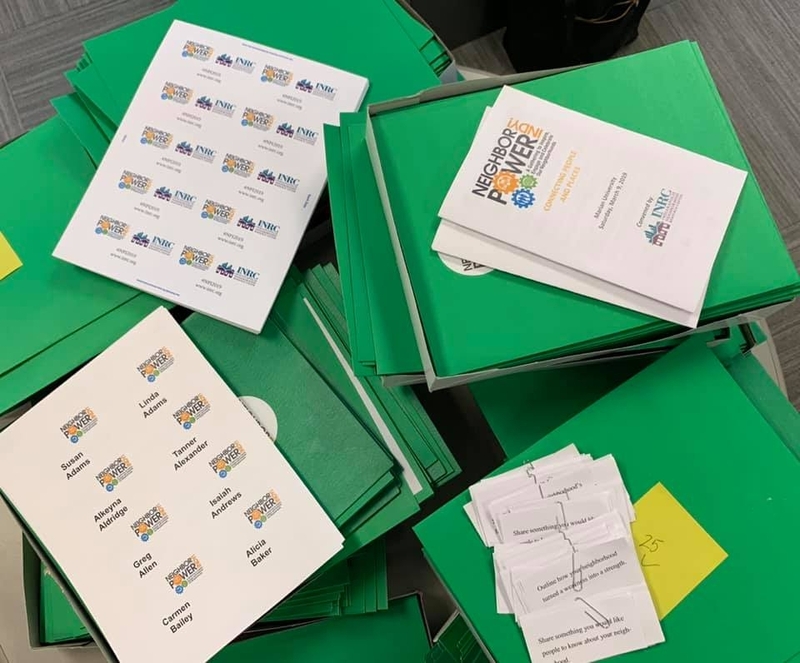 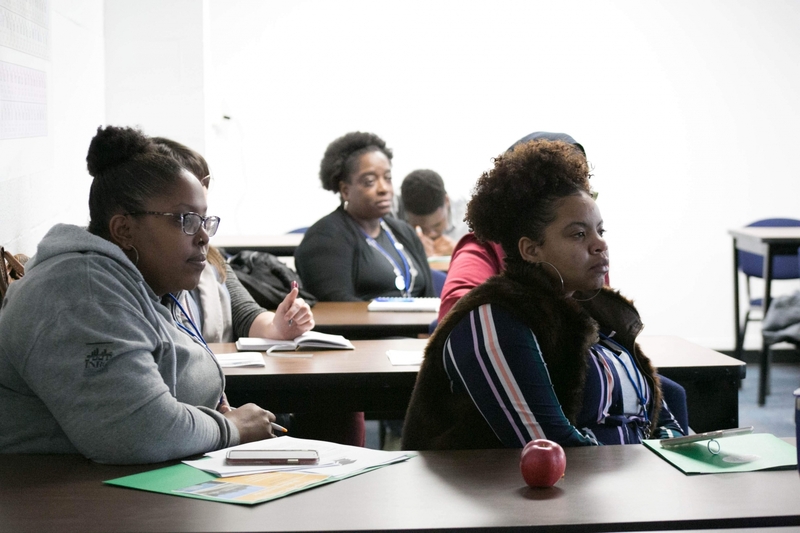 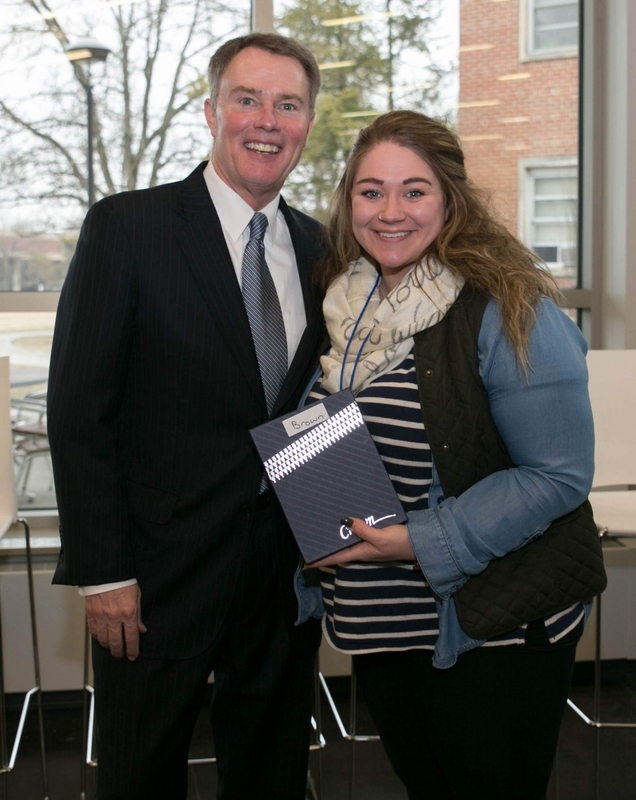 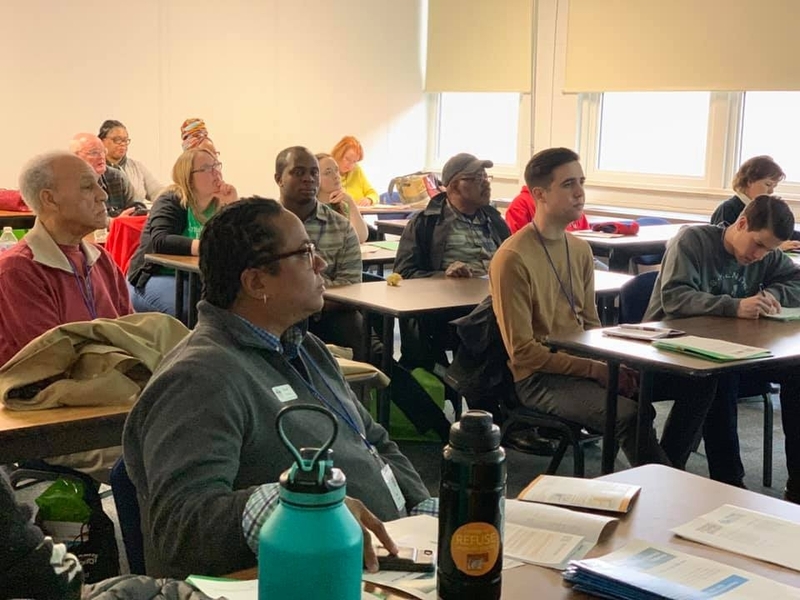 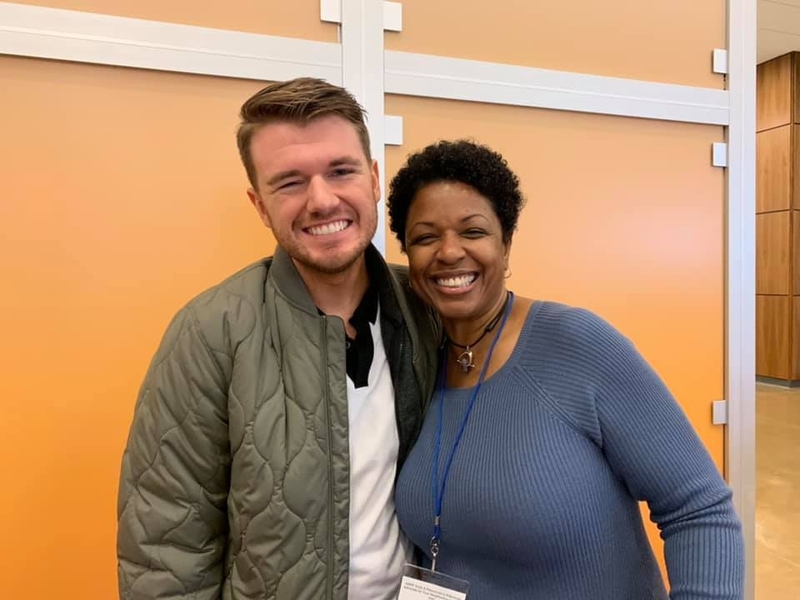 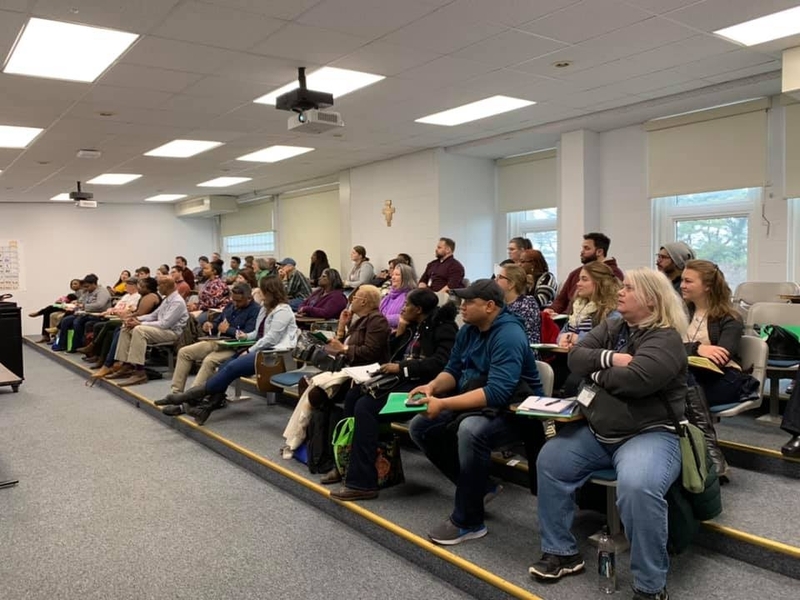 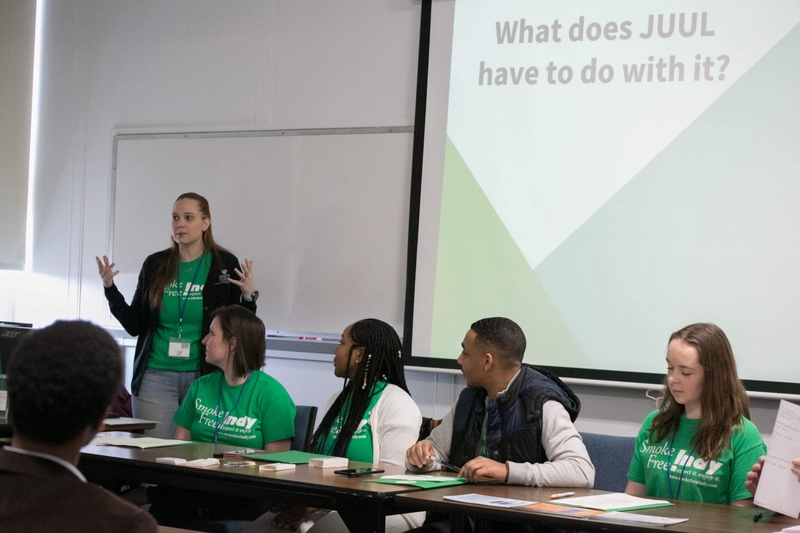 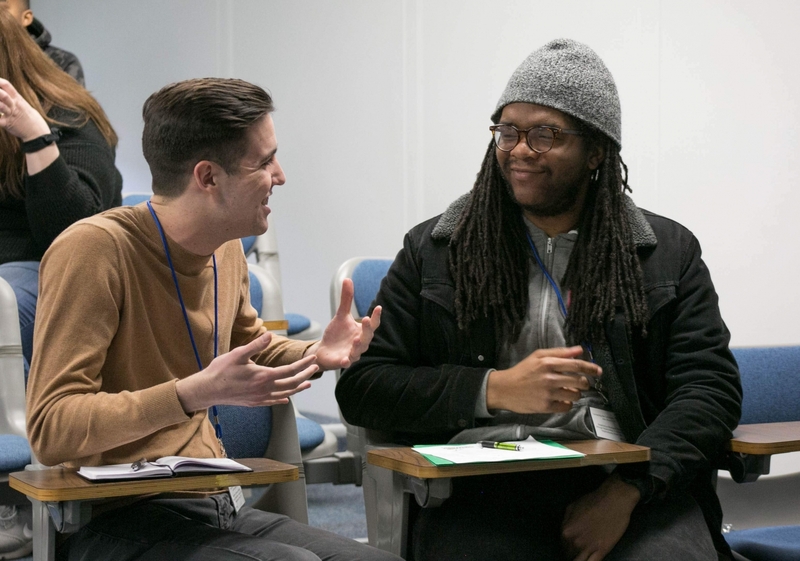 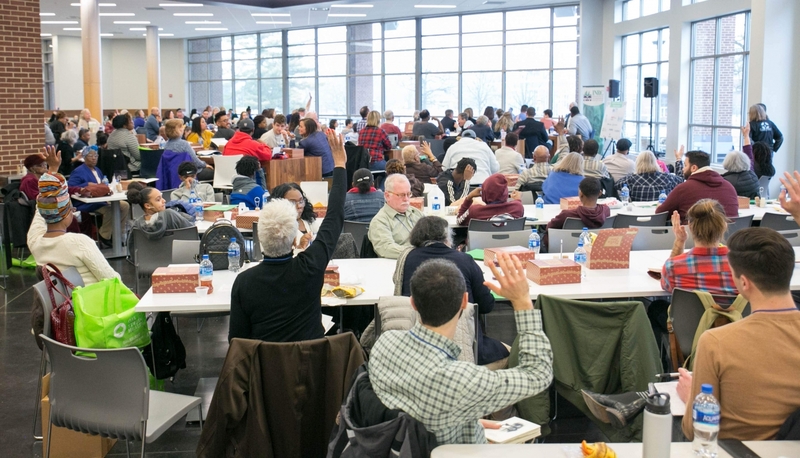 Indianapolis Neighborhood Resource Center’s 8th Annual Neighbor Power Indy was held on Saturday, March 9, 2019 at Marian University. 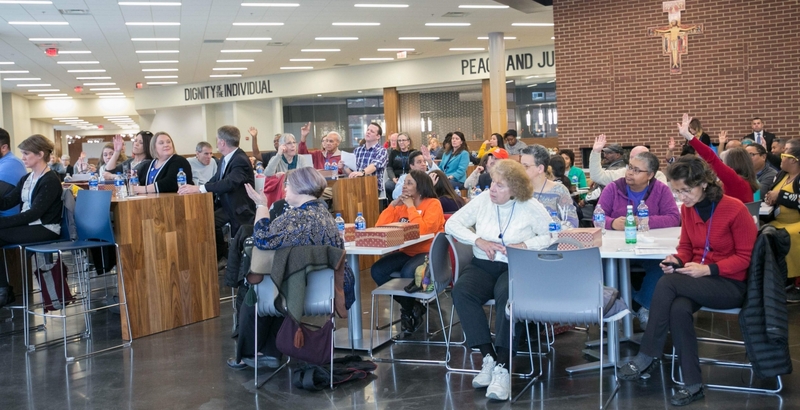 Nearly 400 neighbors representing over 175 Indianapolis neighborhoods gathered together to inspire, engage, and celebrate their neighborhood accomplishments. 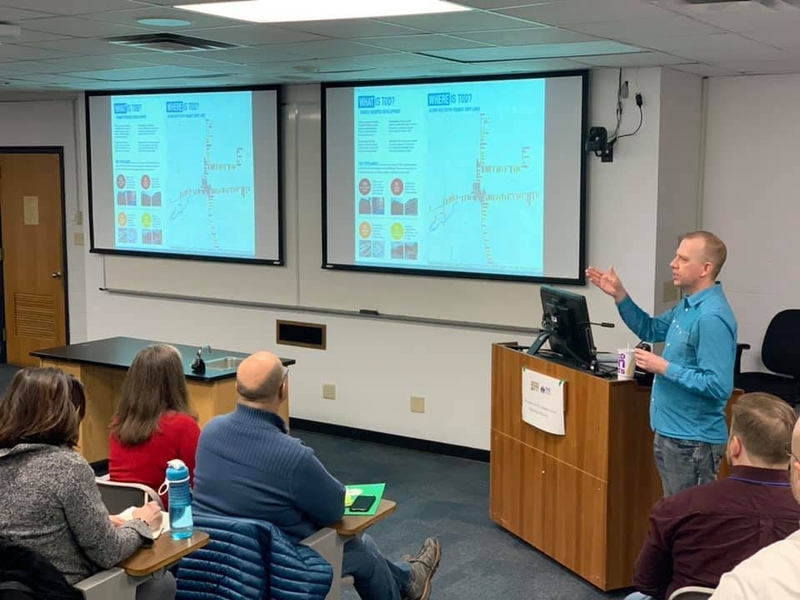 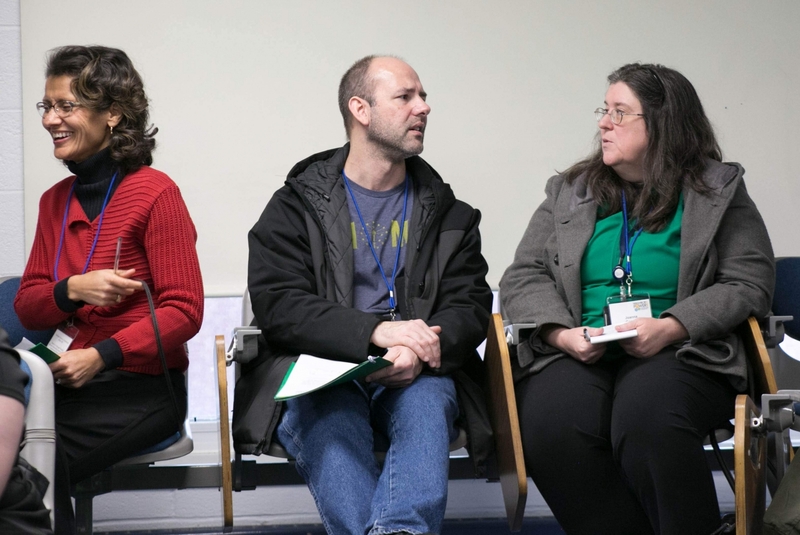 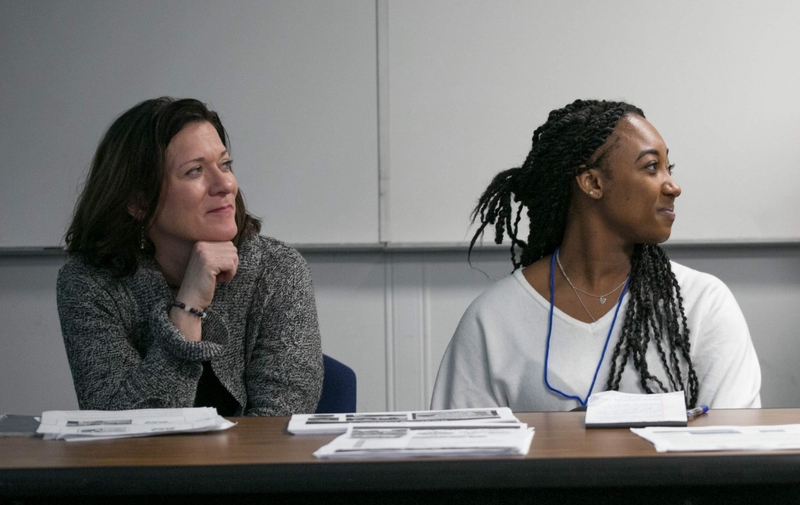 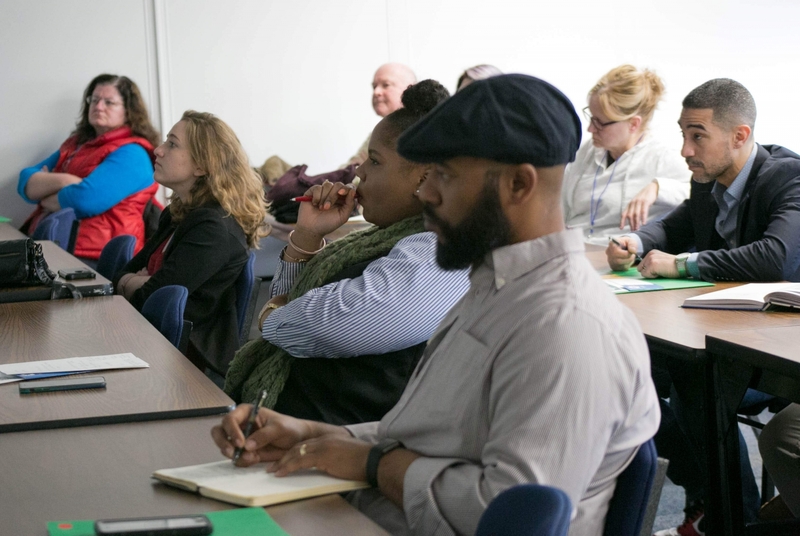 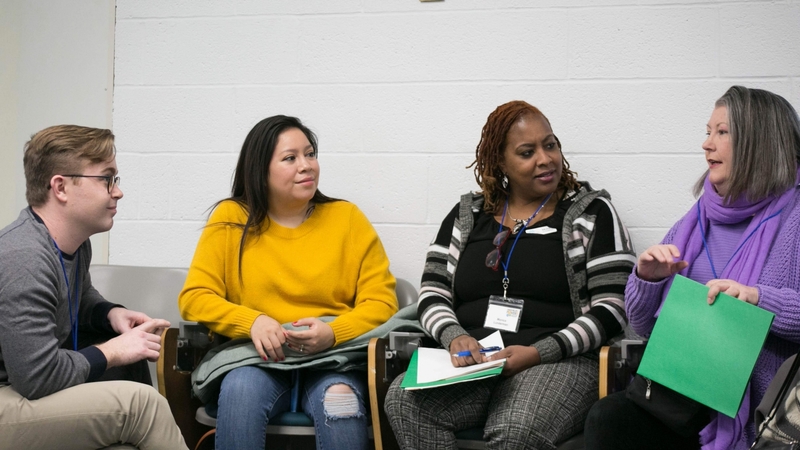 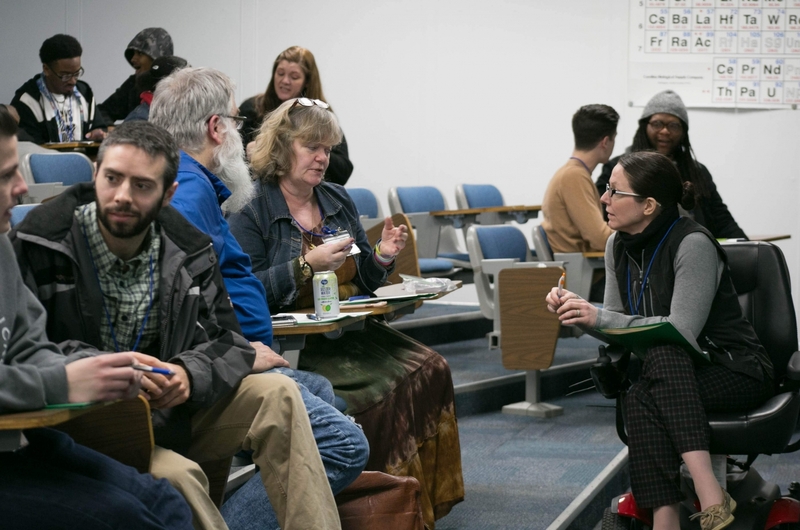 Neighborhood residents, business owners, not-for-profits, corporate partners, funders, government staff, and elected officials convened to share best practices and connect with their neighbors. 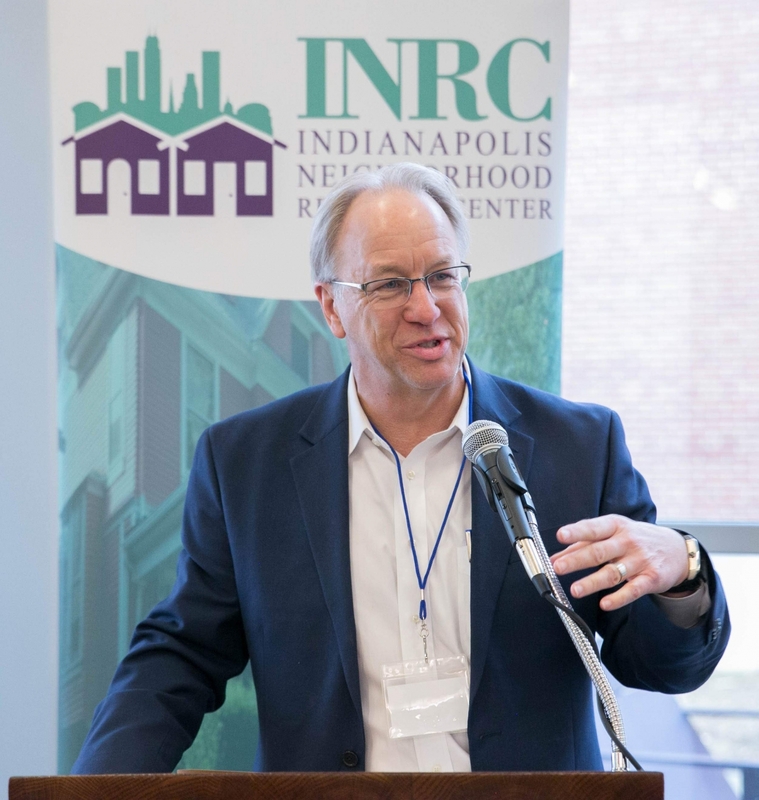 Attendees chose from 19 workshops, networked during the Neighbor ‘Speed Dating’ activity, celebrated Neighbor Power Indy awardees, and heard from keynote speaker, Brian Payne with the Central Indiana Community Foundation. 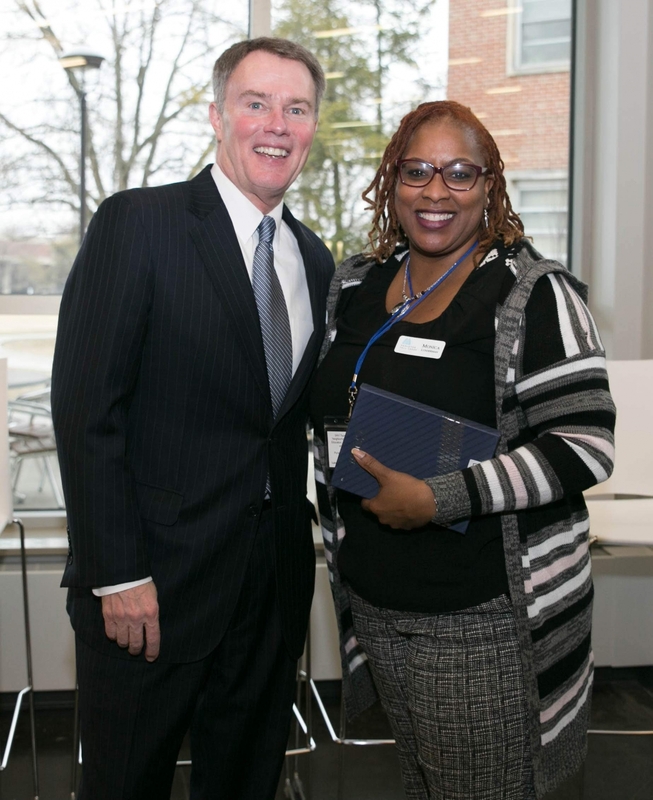 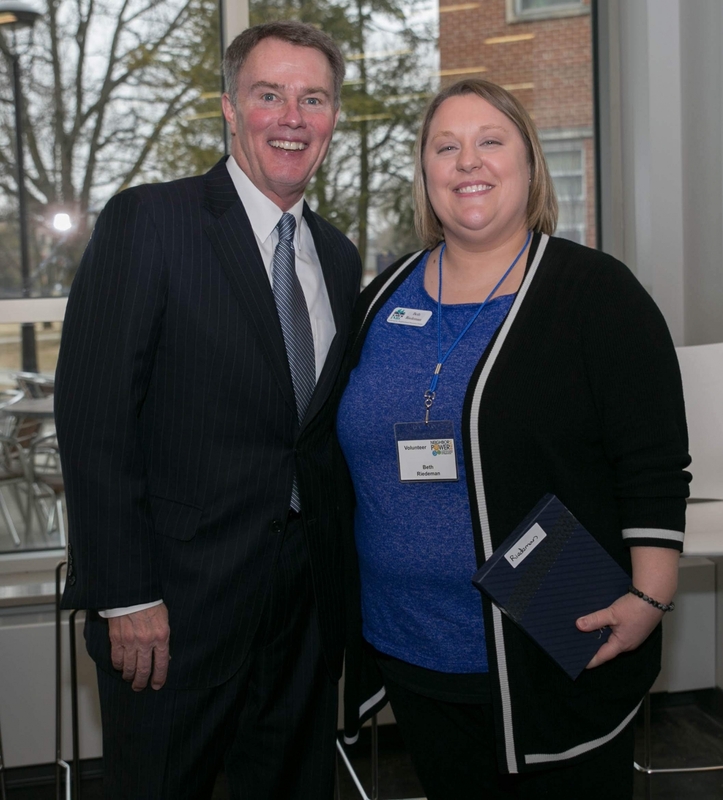 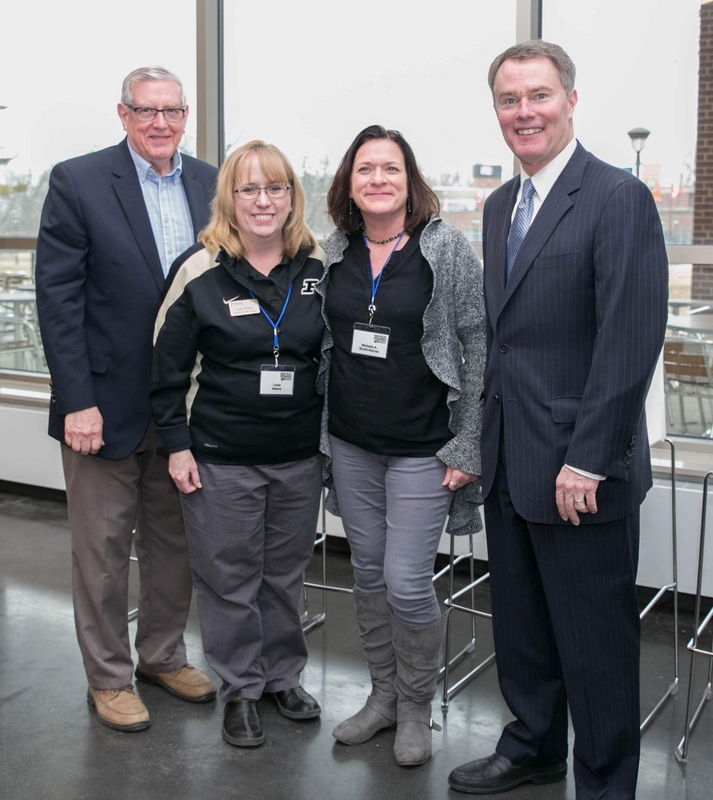 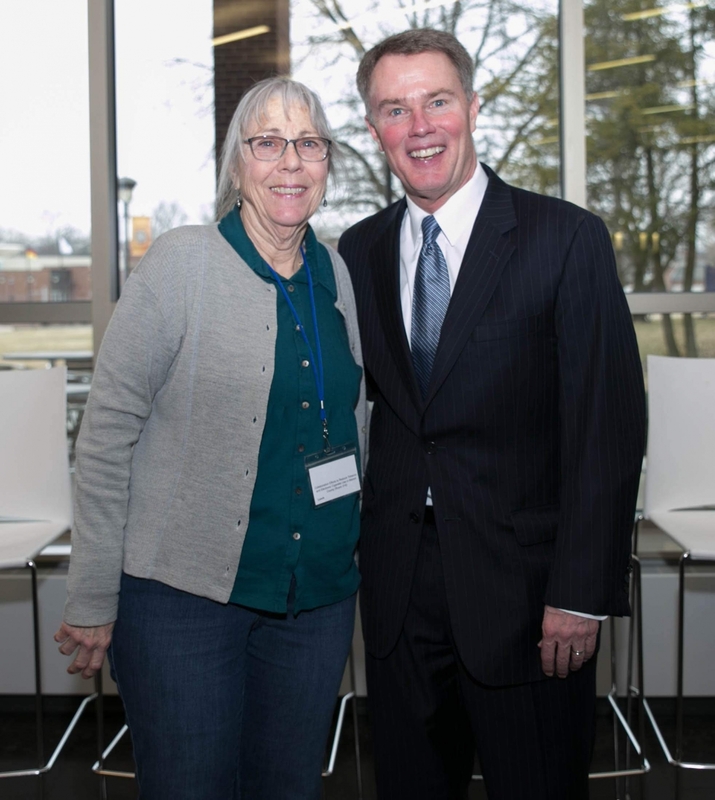 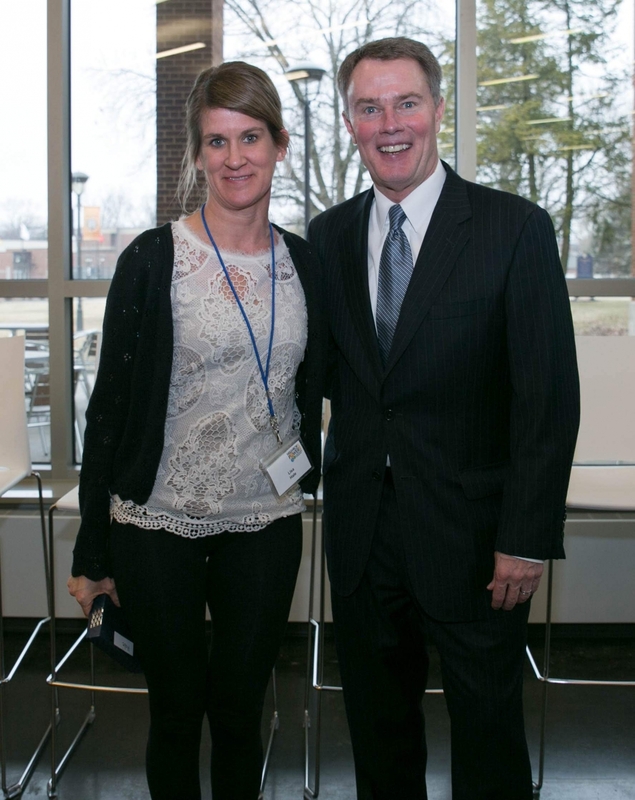 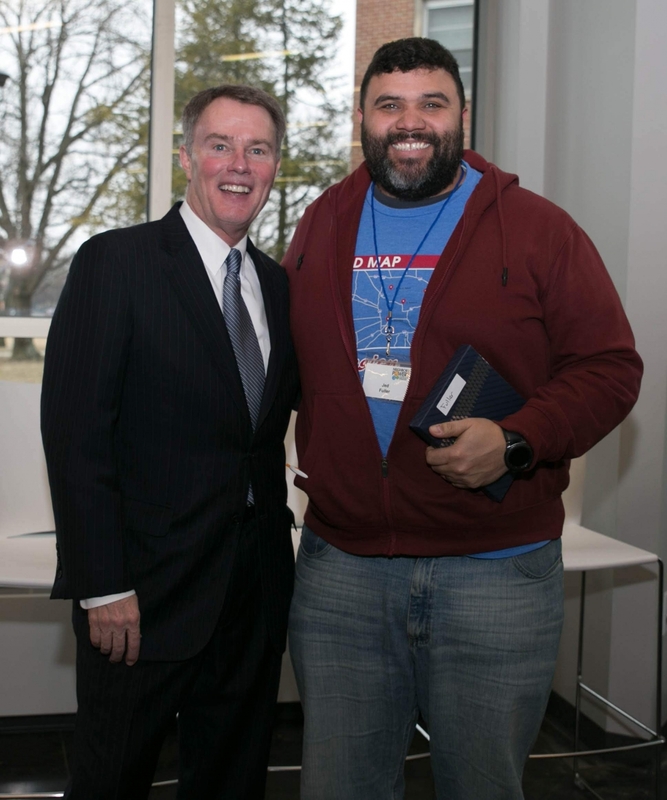 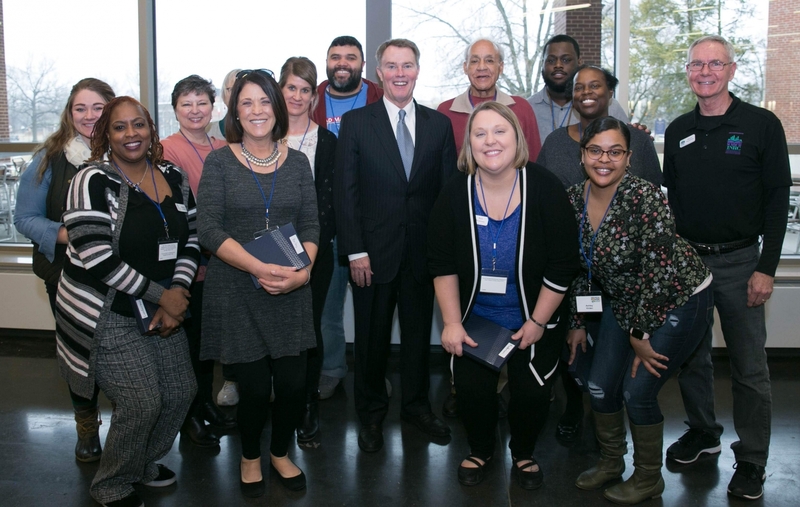 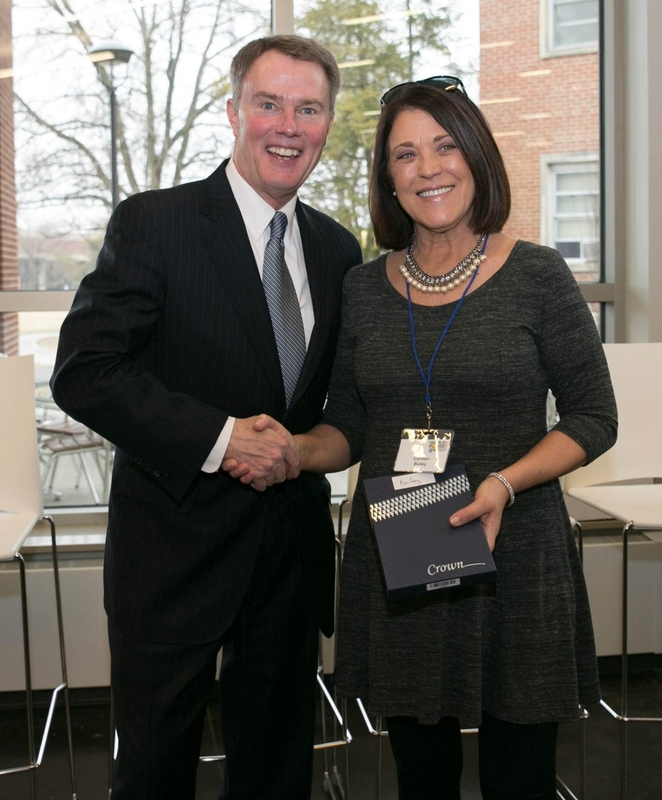 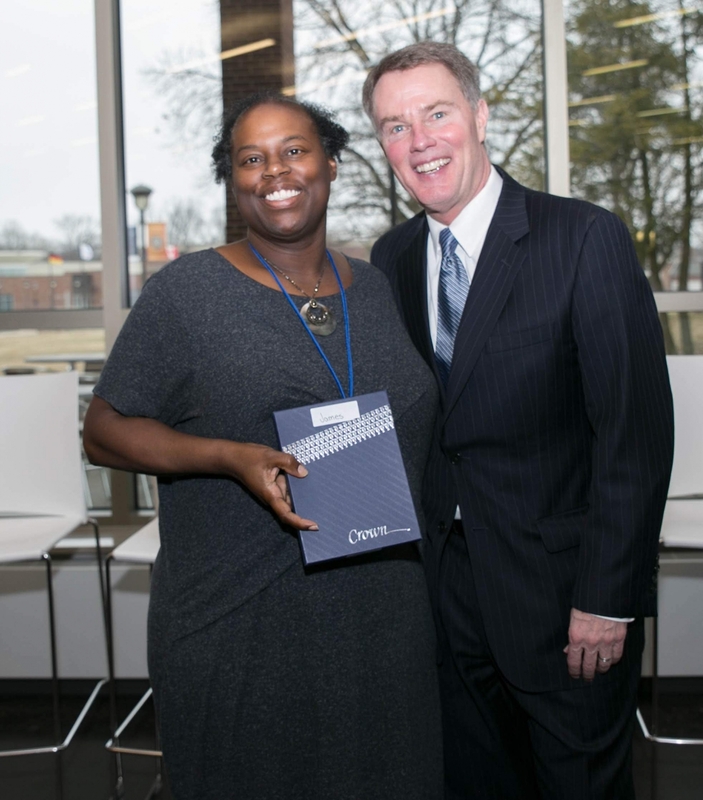 Indianapolis Mayor Joe Hogsett attended the event to share his appreciation for the hard work our neighbors do to make their neighborhoods the heart of our city. 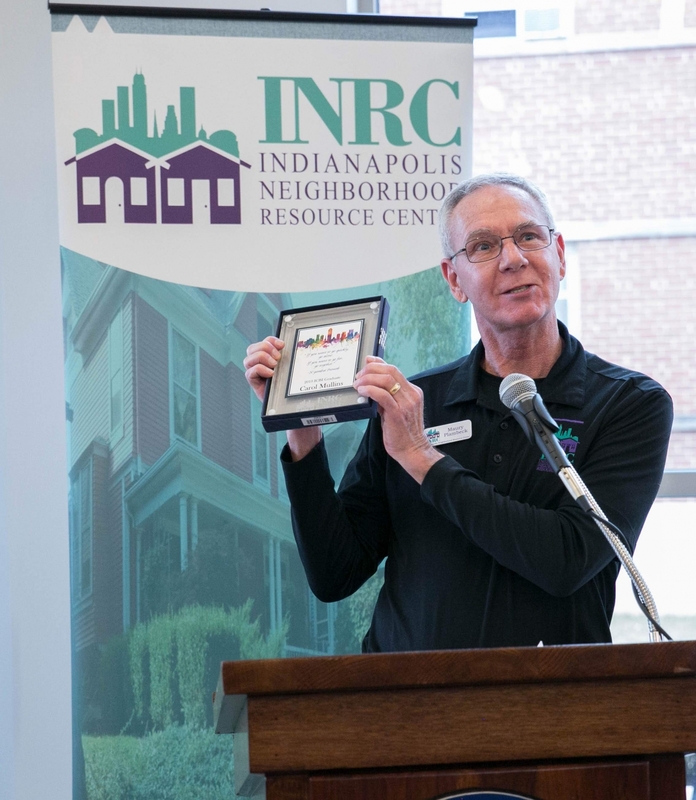 Neighbor Power Indy awards were presented to two neighborhood organizations. 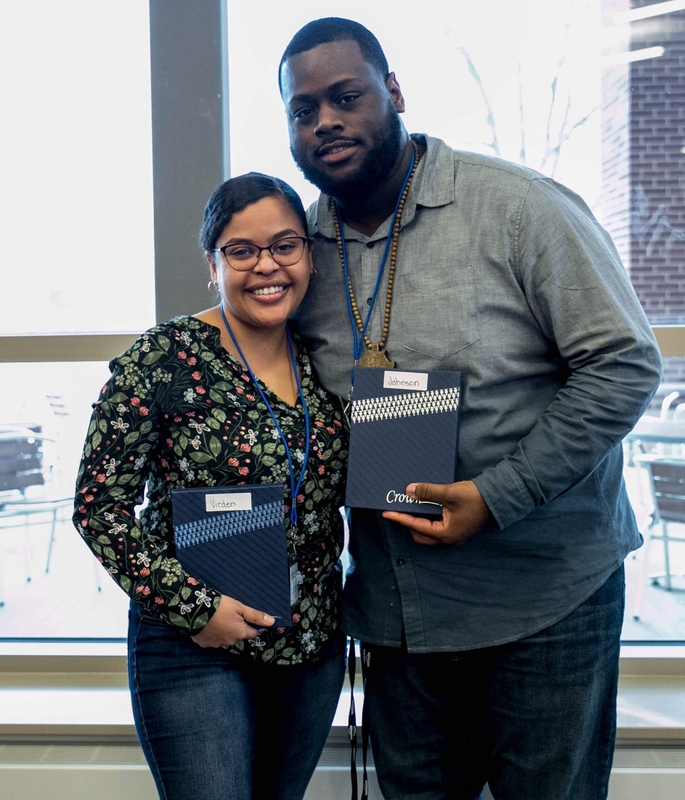 The Inspiring Places award was awarded to the “South New Jersey Street Median Revival” project, which engaged forty Bates-Hendricks neighbors who created a new community gathering space, built and strengthened relationships, and brought back a community garden. 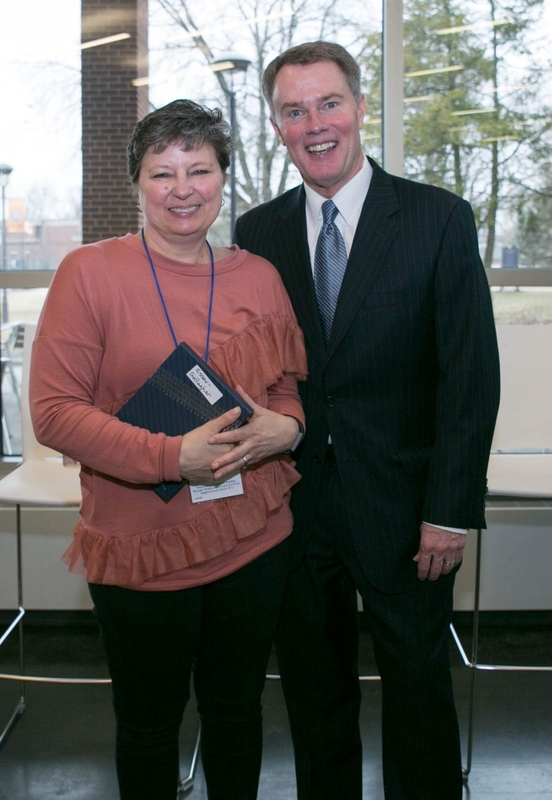 The Connecting Community Award was awarded to Bethany Lutheran Church for their Bethany Community Gardens. 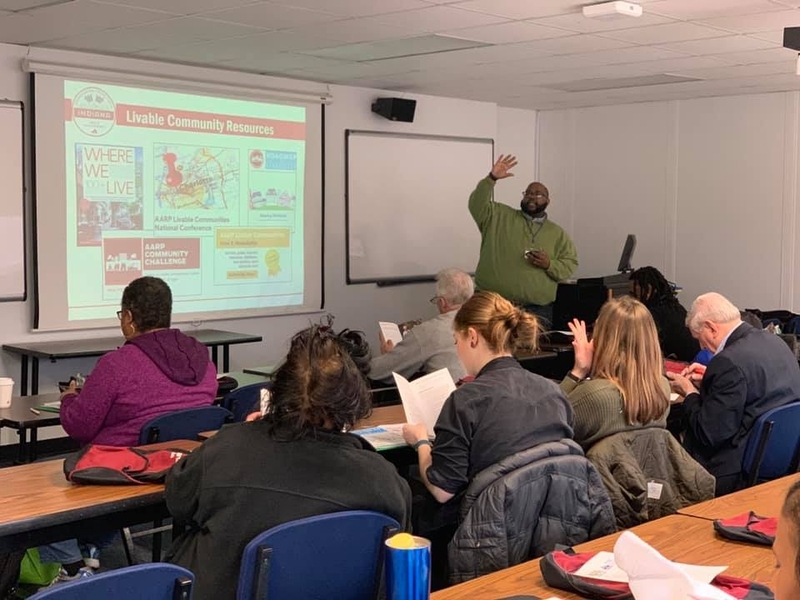 Bethany Lutheran Church worked with the South Indy Quality of Life Health and Wellness team, INRC, and Purdue Extension to connect with neighbors through gardening. 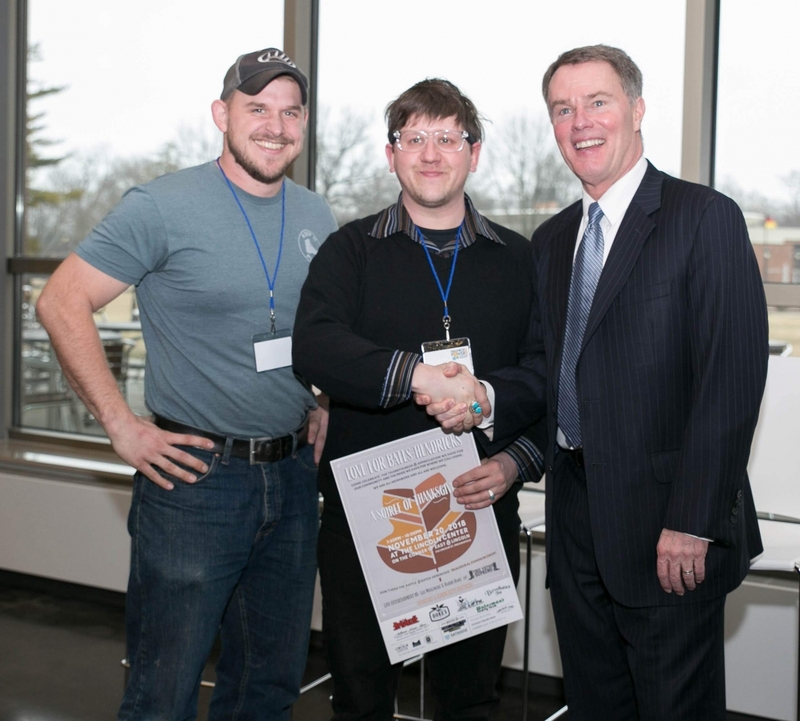 With over 20 collaborating partners, in 2018 49 garden beds were planted, and over 500 pounds of produce was harvested and donated to two area food pantries. 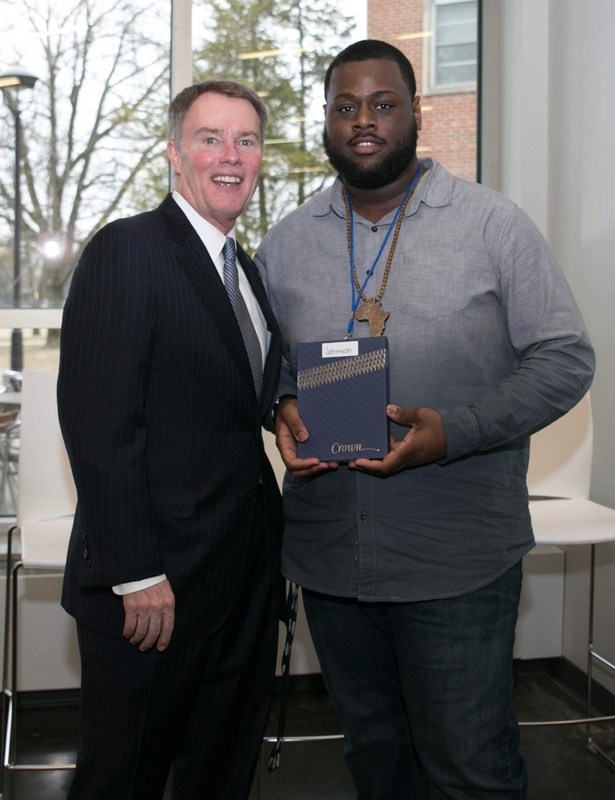 INRC presented an honorable mention award to Dathouse, Inc. for the inaugural “Love for Bates-Hendricks: A Soiree of Thanksgiving” pitch-in dinner. 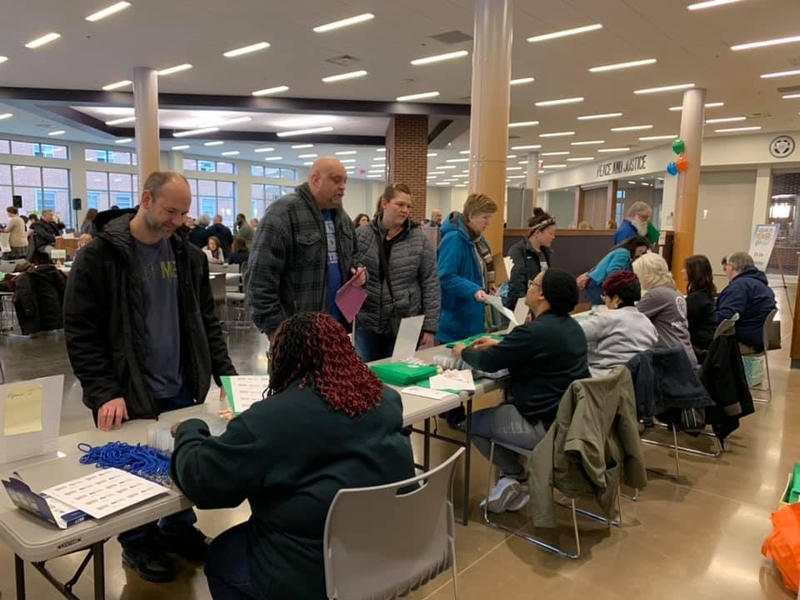 The event featured local artists and was designed to celebrate the diversity and pride for the Bates-Hendricks neighborhood. 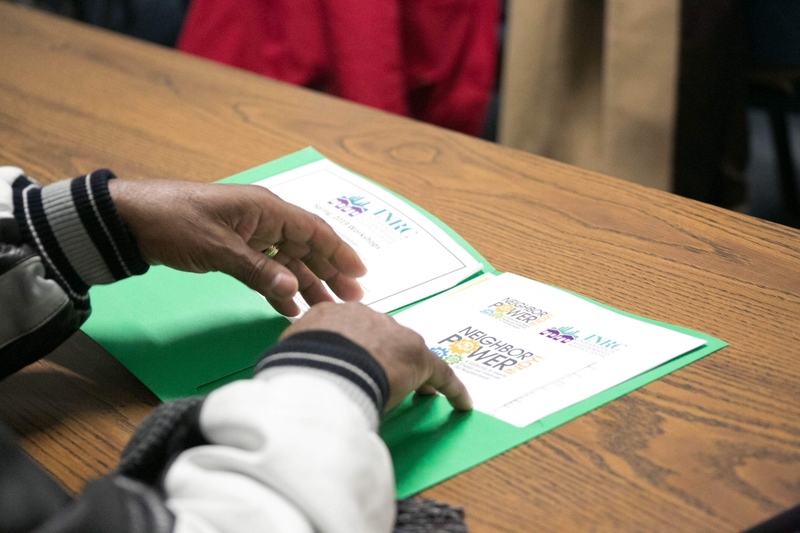 Neighbors continue to have weekly community meals, and plans are underway for the 2nd annual event. 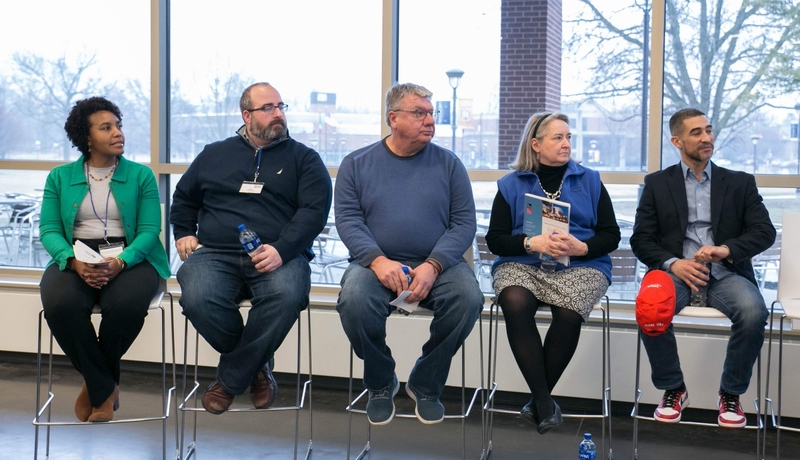 Neighbors gathered for the afternoon panel discussion which included organizations that specialize in connecting people and places: Central Indiana Community Foundation, The Indianapolis Public Library, Indianapolis Metropolitan Planning Organization, Mapleton-Fall Creek Development Corporation, w/purpose, and Indiana University Public Policy Institute. 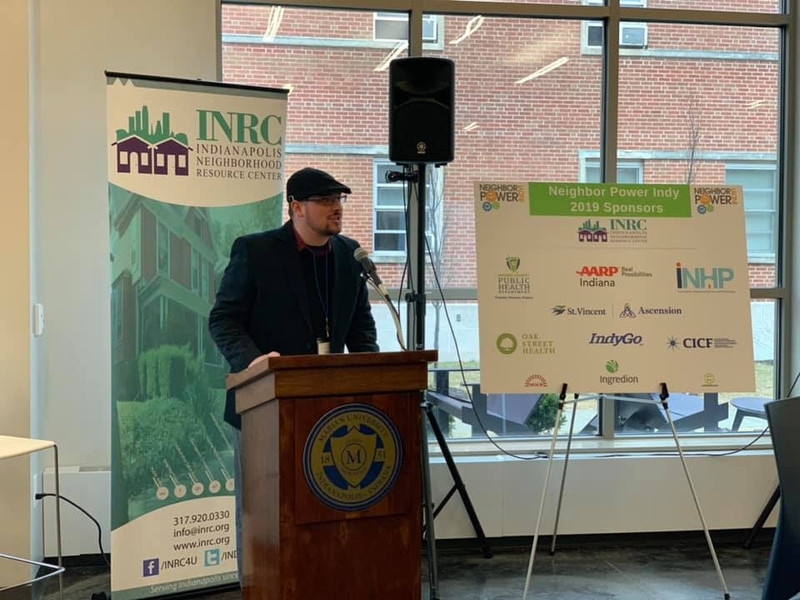 Neighbor Power Indy continues to be an annual event because of support from our generous neighbors who support through donations and these following sponsors: the Marion County Public Health Department (MCPHD), Indianapolis Neighborhood Housing Partnership (INHP), AARP Indiana, Oak Street Health, St. Vincent Ascension, Central Indiana Community Foundation (CICF), Ingredion, Near Eastside Community Organization (NESCO), Cunningham Restaurant Group, IndyGo, and Marian University. 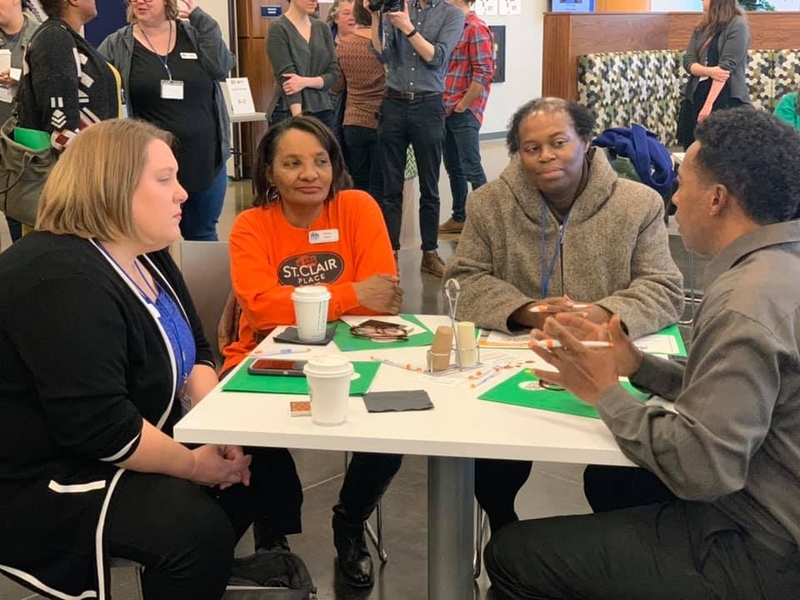 We are encouraged by all of the conversations, connections, and ideas that were discussed at Neighbor Power Indy. 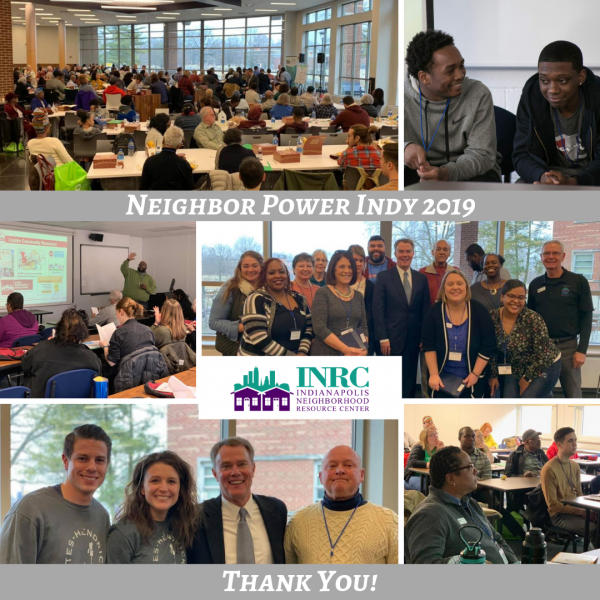 We look forward to seeing the neighborhood transformations that come out of Neighbor Power Indy! 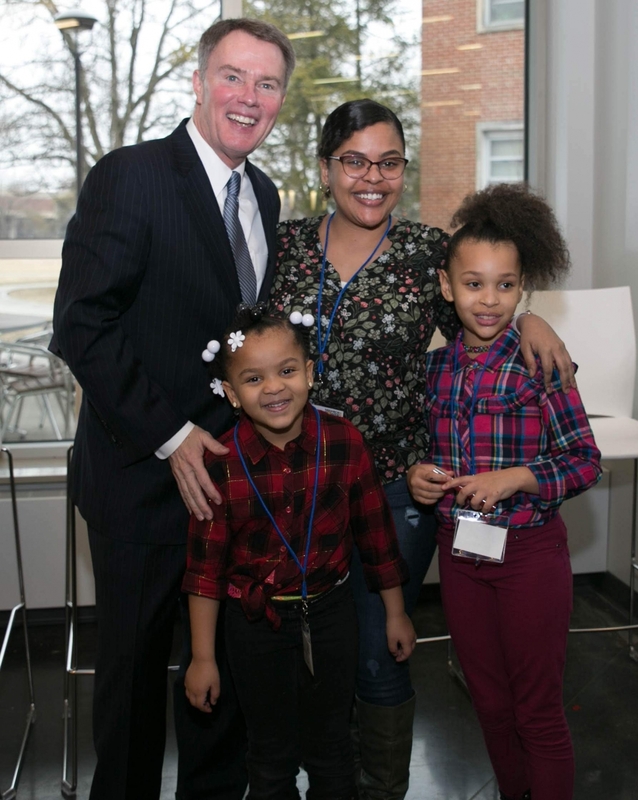 Interested in Sponsoring our 25th Anniversary Celebration? 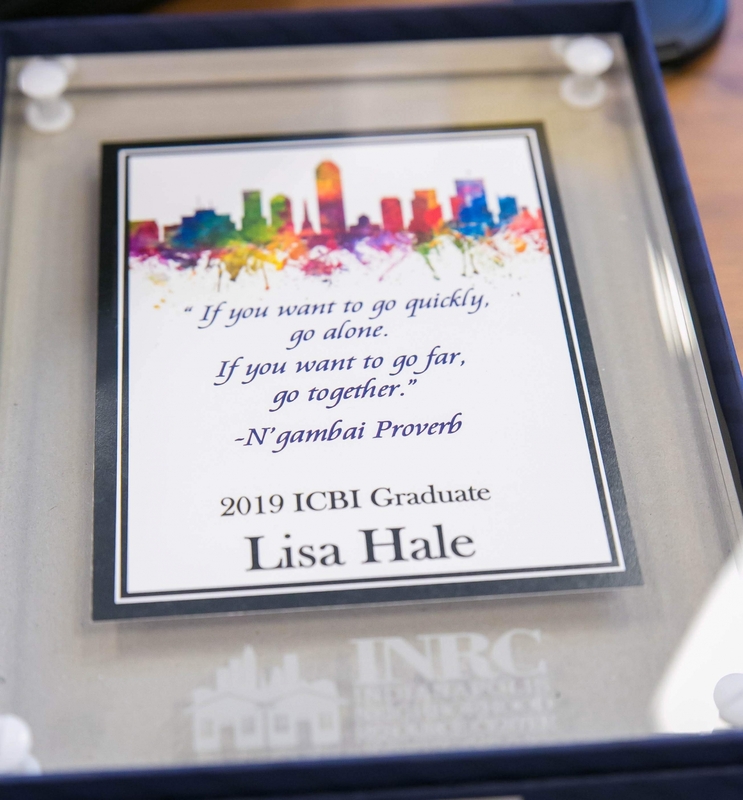 Contact Jennifer Coffey, Director of Development and Marketing at jcoffey@inrc.org or 317-920-0330 ext 306.